QuickBooks is one of the most affordable and accessible introductory accounting solutions on the market. But the exact same features that make it great for beginners make it inappropriate for multi-entity businesses. A comprehensive accounting solution is an essential asset, but the wrong accounting solution only creates headaches and hurdles. And if your business has grown and evolved since you first implemented QuickBooks, the tool has most likely become obsolete. Quickbooks is adept at handling the accounting workload for a single location (with size limitations), but as soon as multiple locations/entities are involved the management burden and data-discovery process become overwhelming. Businesses are forced to add staff and rely on inefficient tools such as Excel to consolidate reporting across many locations and entities. And even with those extra resources, discrepancies and oversights are common, and the process can take tens if not hundreds of hours. A cloud ERP solution like Sage Intacct seamlessly accommodates two locations or hundreds of locations. Decision makers are empowered to monitor financials from a single centralized dashboard, thereby minimizing the risk of errors and omissions. Managing the overall accounting process is also easier when users can rely on deep analytics capabilities to quickly generate sophisticated reports, even when dealing with different currencies. No matter how distributed an organization becomes, accounting remains organized and accessible. Cloud ERP is just the opposite. It was specifically designed for mobility, accessibility, and flexibility. An application that is rightly considered mission-critical is accessible through any device (including mobile ones) with an internet connection. Work happens whenever and wherever it needs to on anything from an iPad to an Android phone. A solution like Sage Intacct ensures that accessibility does not compromise efficiency or productivity. Something as important as an accounting solution must be updated regularly to ensure full functionality and patched immediately to eliminate security vulnerabilities. That is a challenge with Quickbooks because IT teams must update each terminal or hosted solution manually for a cost. 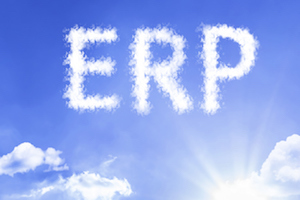 A cloud ERP solution, by contrast, is managed entirely by the provider. Updates and patches are applied automatically by dedicated teams who focus solely on expanding functionality, enhancing security and optimizing performance. As businesses begin to grow, the scalable capabilities of the cloud allow them to focus their IT teams on more strategic investments. And since the cloud spreads seamlessly across multiple locations, there is no infrastructure cost associated with Sage Intacct, unlike a piecemeal solution such as QuickBooks. Keep in mind that the pain points associated with QuickBooks get significantly more severe as businesses continue to grow. Whatever friction exists now will only get worse over the near term. And when accounting becomes dysfunctional, the consequences ripple throughout an organization. The simple solution is to upgrade from an introductory accounting software to cloud ERP before it is absolutely necessary. 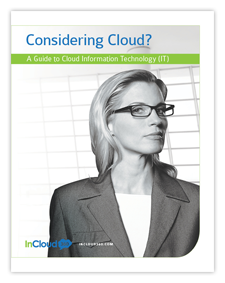 When you’re ready to explore this opportunity in-depth, contact the experts at InCloud360.